Jack's Opinion: iPhone coming soon as a different form factor? We read a lot of rumors about a new cheaper iPhone and it makes sense. Let us go back in time. 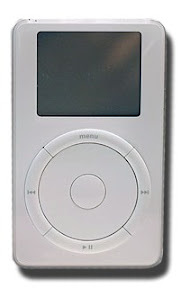 The first iPod came in 23 October 2001. 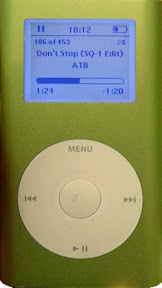 It took almost 3 years till in June 2004 the iPod mini was introduced. See wikipedia for all models. 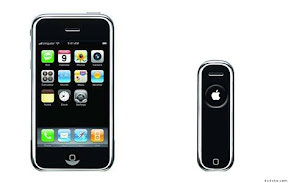 The first iPhone was available in June 2007. This year is the third year of the iPhone and as we know usually Apple keeps release dates pretty consistent. 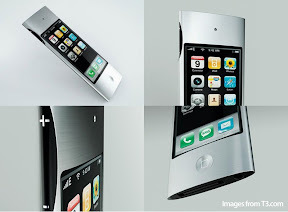 If so, then we need to expect this year not only the iPhone 5 but as well the iPhone mini. Smaller form factor, less memory. The iPhone mini will be then available in 4 and 8 GB memory with much smaller screen than the iPhone or iPod touch to a smaller price break. 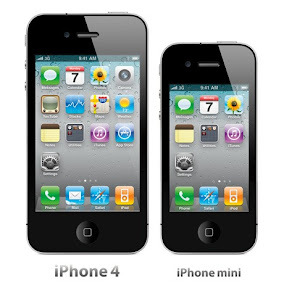 Which means the iPhone mini will be available for free at all telecom providers. 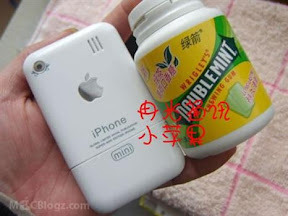 And for all girls, women and fashion guys, the iPhone mini will be available in 8 different colors, from yellow over pink to blue. It might be that the iPhone mini (at the beginning) does not allow to install applications like the iPhone 2G. Like the iPod nano today. It has a iOS base but does not allow to install software. I believe the iPhone 5 will be available in 32GB and 64GB like the iPod touch today, with a dual core processor a bigger back camera and but unlikely a 3D screen (just because others have it now like LG). But for sure the iPhone (both) will have a short distance transmitter to use the iPhone as a credit card. Back to the iphone mini, after six months will be a software upgrade which will allow to install games and apps for the iPhone mini. The iPhone mini will have Bluetooth, wifi and data plans but maybe no camera or only front camera to allow FaceTime. I know this is all speculation but by just following Apple it would make sense. The only part which does not fit is that Apple is relying on telecom providers which might for Apple not a reason not to build a different form factor. For Apple it is not important to have number one OS sold but to be number one sold phone. Multiple form factors and offering a phone for all providers would raise the risk of too many problems and user complains, especially that usually the providers want their own special version of the OS. Apple always prefers to be market leader for a specific product than to satisfy everybody. Apple believes consumers should buy what Apple offers and not that Apple has to offers something consumers are asking for. This is, was and will be the big advantage of Apple. All other hardware companies seem not to understand this methodology and therefore are offering every 3 months a new version of their phones and over 20 different phones (vice versa with PC and notebooks). As a result the products don't look as esthetic and are losing very fast in value. I personally would like the iPod nano form factor as an iPhone nano. Would be awesome as a second phone.